Vague Insights...: Barfi! - A movie and its slow indulgence..
Barfi! - A movie and its slow indulgence.. The magic is cast the moment you start watching it. The lyrics of its opening song itself is so catchy. It is a movie which happens when all of its cast n crew give their best possible attempt in the making of movie. It has rightly proportionate story with a love triangle and a little predictable suspense too. But the freshness in its narration makes you savour it. Priyanka has ignored her attitudes, brought in only the right portion of it, and has perfomed from heart. Thats wat make Jhilmil's character so different and stands out among all her performances till now. Ranbeer as Barfi is born mute. Very thick practiced tints from his grandpa, the showman, Raj Kapoor's movies is casted like blessings on his performance here. He has conveyed all that was needed with absolute no dialogues. Anurag Basu has succeeded completely in bringing out Barfi's child like innocence & honesty into Ranbeer's acting. Iliana has given her so-far best acting with no glam factor. Barfi says.. "Yes I have only this good for nothing- a bycycle! Yes my shoes are torn! You and him make a good pair.. I am nothing in front of him.. But your father thought that I'd come to ask him some help since I'm deaf and dumb and he sent me giving some alms?! Its ok, you can be more happy with him than you would be, with me...." Ranbeer when rejected by Shruthi's (iliana) parents just has it all, without dialogues, yet conveys out loud, crystal clear! 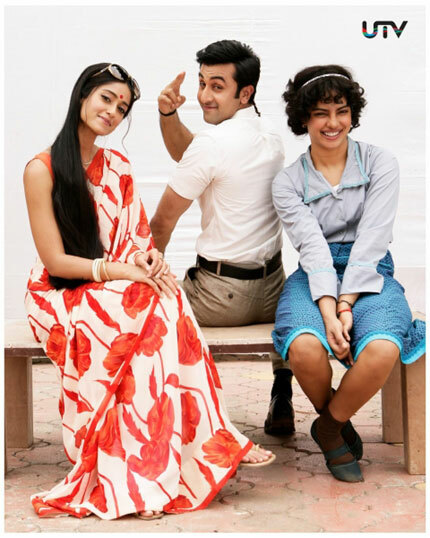 Priyanka gradually raises both of her arms when she meets barfi, but not to embrace him! Just to put her hands in between Shruti and Barfi, which delicately conveys Shruti that he is hers, and she's never going to part from him. Its like a poem being conveyed in scenic form. Its altogether a Pleasantly Sweet movie to be watched!